This home is just over 3500 square feet and the owner wanted to power everything in the house. We designed this system around a 20kw air-cooled generator with a Direct Power TM meter mounted transfer switch. By load managing the double ovens we can power more with a smaller generator, thus keeping the costs down. 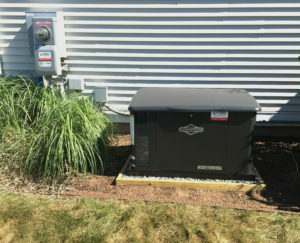 This home is now ready to operate comfortably in the event of any future power outages.